Hard Drive Not Found and solution for data recovery. “Windows Home Server”, a well known n listen name to all users which is avaible for almost a year and half but still people are not aware of a powerful feature of it. If anyone gets an error like “hard drive not found” on a black screen with white bold text then either users opt for a new hard disk or users opt to replace it if in warranty or go for expertise help for data recovery. For all users kind information let me tell it costs about $1500 if anybody opt choice to go to expertise to recover data. There is a one more way, with Windows Home Server!!! Yeah, you listened right, Data recovery with Windows Home Server in few hours as its probably not a worth choice to take risk by opting expertise for that. 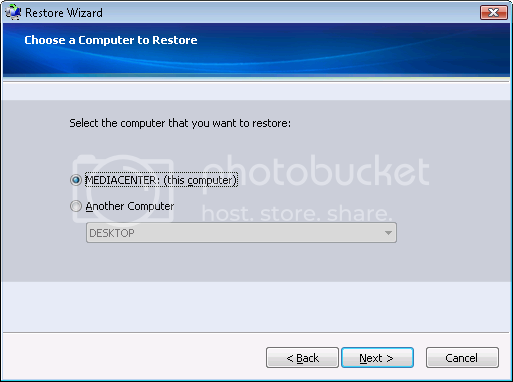 Instead simply Open Restore Wizard and follow six simple steps. 1. 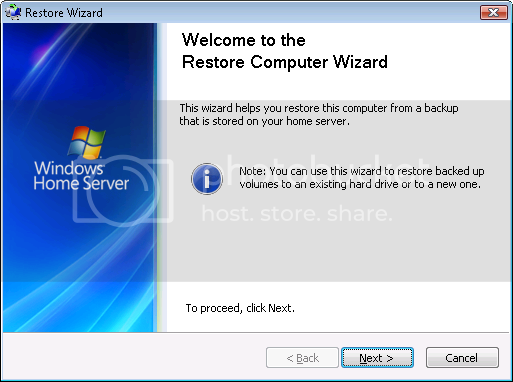 Boot from the Home Computer Restore CD to launch the Restore Computer Wizard and click on next. 2. 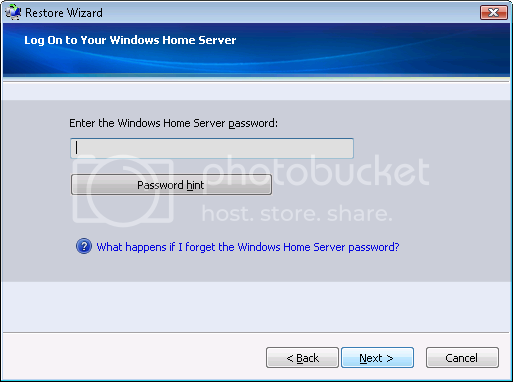 Enter the Windows Home Server Password. 3. Confirm the restore by selecting the computer you want to restore. 4. 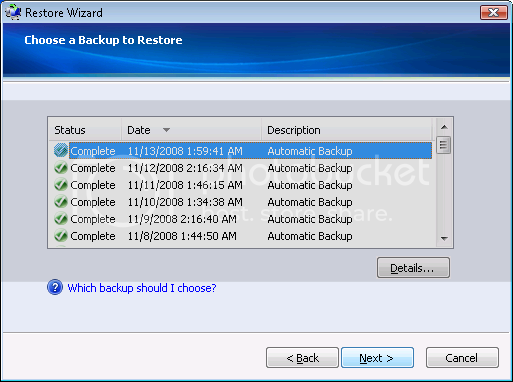 Choose a backup from listed ones which is to be restored. 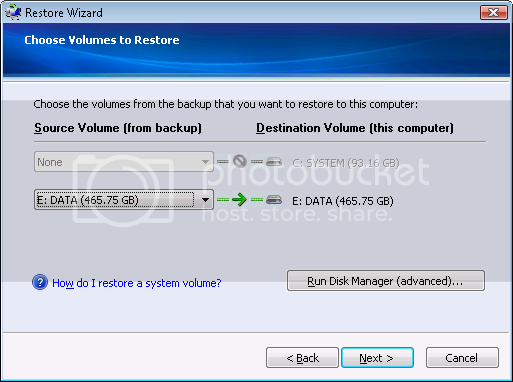 5.Choose volumes to restore whether all hard drives or selected ones. 6. 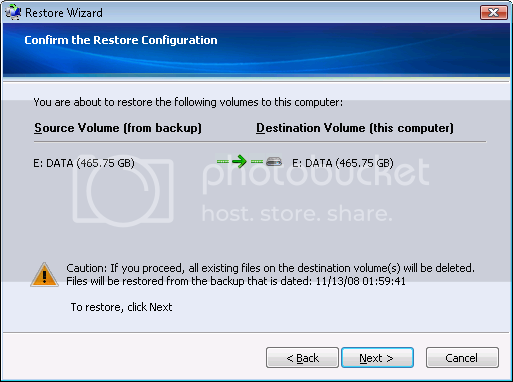 Click Next button if restore configuration is confirmed. This will initiate an image based restore.